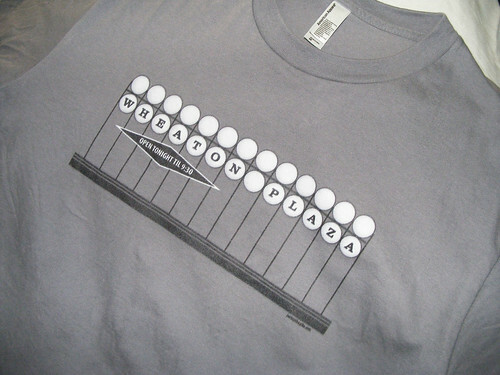 Remember when I said that my Wheaton Plaza T-shirt design was almost ready? Now it is! 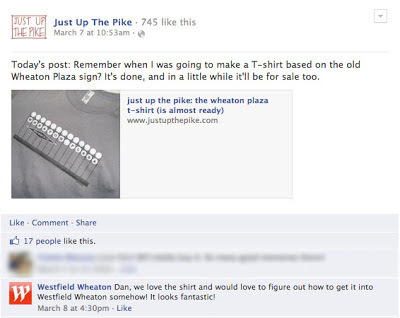 I'm proud to announce the new Just Up The Pike store on Spreadshirt, where you can get one of your very own. Let me know if you have any questions or suggestions about the shirts. 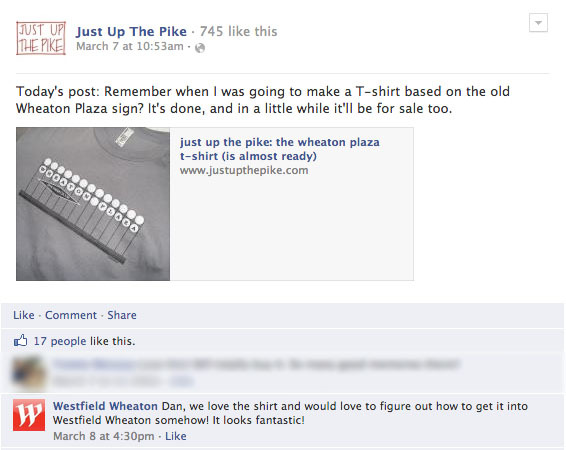 And if you order one, send me a photo of you wearing it and I'll feature it on the blog.